Did you ever have a conversation with someone you hardly knew, but for some reason it just feels like you’ve known them for forever? That’s what my conversation with Anthony Iannarino was like. Anthony is a speaker, a best-selling author of two books – both are fantastic – and a sales leader. He has worked for and spoken to global giants like Accenture, Abbott Labs, NetJets and Wells Fargo, and is one of the 50 most influential salespeople in the world! 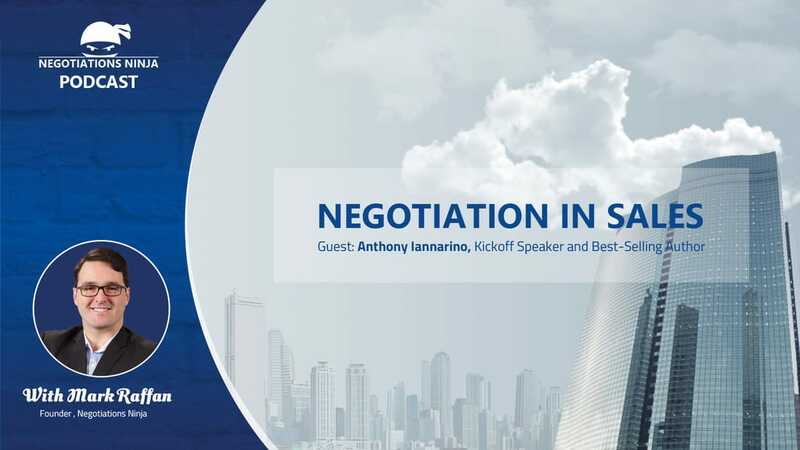 We get deep into sales and procurement styles of negotiating and discuss how sales and procurement have interacted with each other in the past. It was a truly fascinating discussion!